Our kissin’ cousins at One-Daily Town noted this the other day, but it bears repeating in this space: Since Digital Fist – sorry, First – Media bought the shaky local tabloid, the paper has gone from 225 employees to roughly 100, with the newsroom barely able to field a softball team. And the lost jobs are not being outsourced as much as insourced – moved to other parts of the Digital First conglomerate. So, for instance, the Herald’s copy editing is now done in Denver, as the Boston Globe’s Jon Chesto noted on Friday. Much of the copy editing work heads to DFM employees in Denver, and ad sales increasingly will be handled out of Lowell, where DFM owns the Lowell Sun. 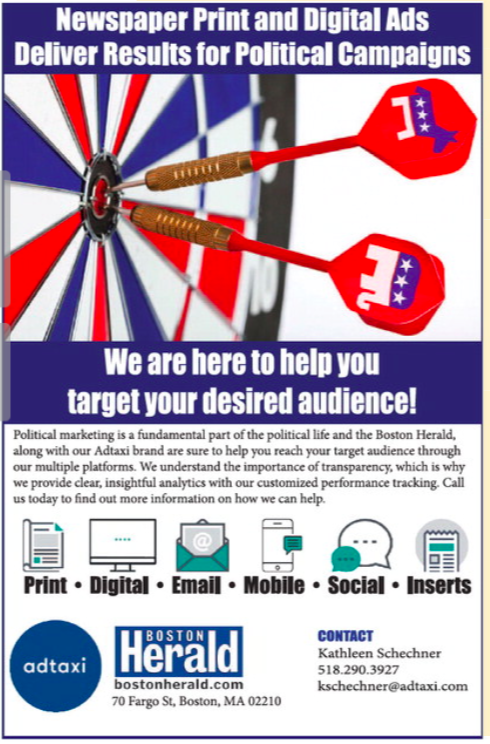 Some of the ad sales, however, are migrating to another DFM division – Denver-based Adtaxi – as this house ad indicates. Except at the Herald, of course. The sketchy local tabloid has been running this small house ad almost every day for the past few weeks. 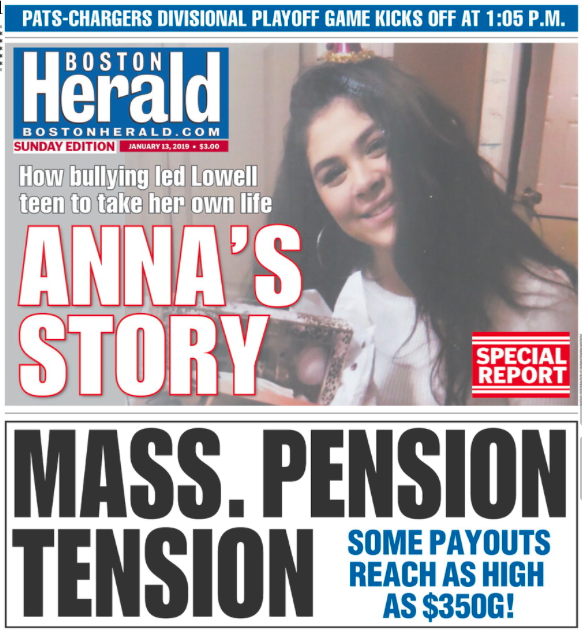 Who Knew the Boston Herald Was Worth $12 Million? Eat your heart out, Mort Zuckerman. Back in September, the real estate magnate sold the legendary New York Daily News to Tronc (rhymes with bonk) for exactly $1 – 50¢ less than the price of the paper’s Sunday edition. To be fair, Tronc did assume $30 million in operational and pension liabilities, but hey – a dollar’s a dollar, yeah? 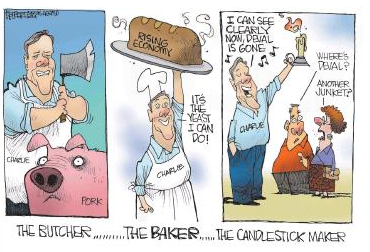 Boston Herald owner Pat Purcell, on the other hand, scooped up a helluva lot more in yesterday’s bake sale of the shaky local tabloid. 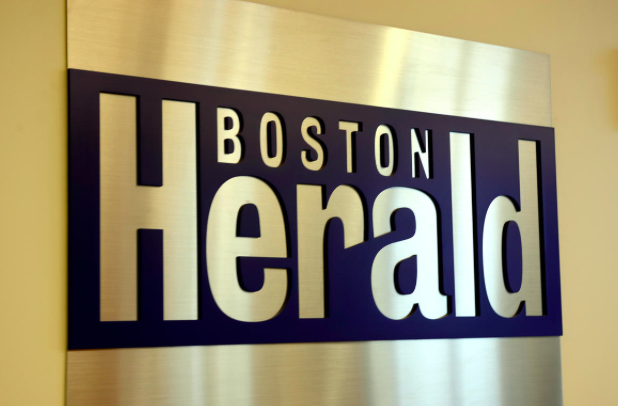 Digital First Media won the Boston Herald in a 5-hour bankruptcy auction with a top $11.9 million bid that all but settles who will carry the news organization into the next chapter of the city’s media history. The newspaper company, which operates as Media News Group and owns hundreds of publications across the country, including the Denver Post, bested two other suitors — GateHouse Media and Revolution Capital. 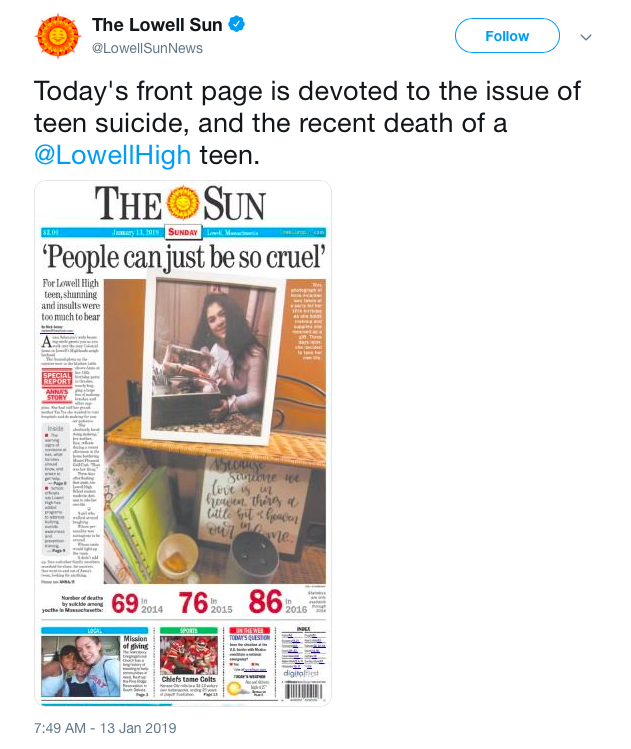 Digital First also owns the Lowell Sun and the Fitchburg Sentinel & Enterprise in Massachusetts. But that doesn’t mean it’s all roses and lollipops at Fargo Street. As the Boston Globe’s Jon Chesto reports, Digital First Media “has earned a reputation for relentless cost-cutting” – not a good omen for the Herald rank and file. So maybe you Heraldniks might want to bring some of your personal items home. 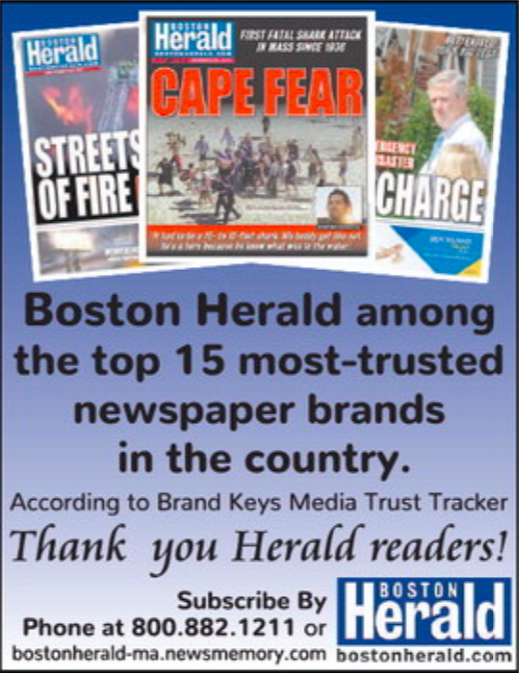 Boston Globe and Herald Merge! The Boston Globe’s somewhat surprising endorsement of Charlie Baker comes one week after the Boston Herald’s entirely predictable one. The flirty local tabloid also ran this big wet kiss alongside the endorsement. 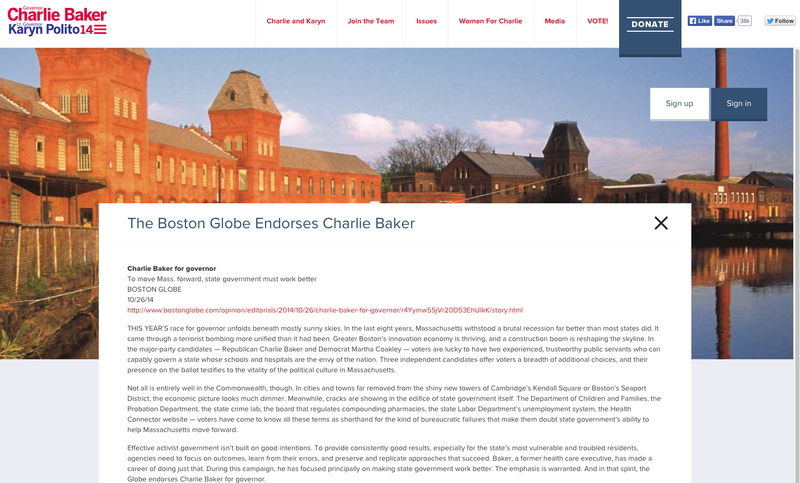 Coakley’s campaign released a statement Sunday touting the endorsements she has received from labor groups and other organizations, while making reference to her bid for history. She is seeking to become the first woman elected governor of Massachusetts. “We know that the only endorsement that matters is the endorsement of the people of Massachusetts on Nov. 4,” said the Coakley statement in the Lowell Sun.